Hong Kong is home to a broad diversity of coastal habitats, with around 6,000 marine species having been recorded in our waters. But unfortunately our incredibly rich marine environment is under constant attack from marine litter. 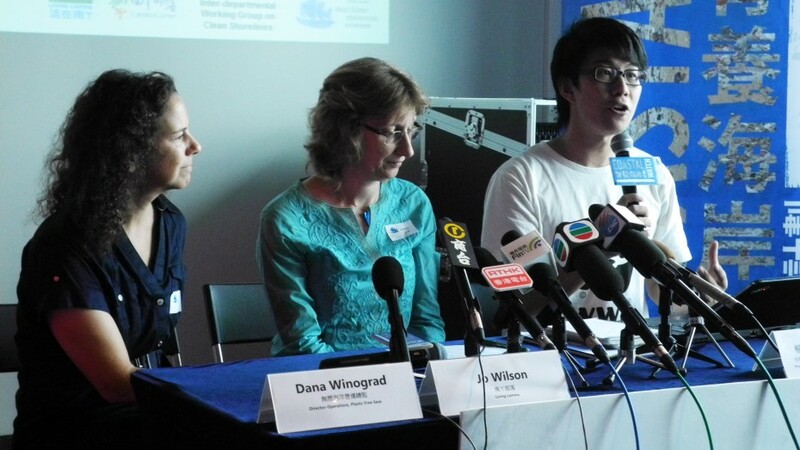 In June 2014, WWF-Hong Kong launched the ground-breaking Coastal Watch project with six strategic partners – Eco Marine, Ecovision’s Hong Kong Cleanup, Green Council, Eco-Education and Resources Centre, Ocean Park Conservation Foundation Hong Kong and Plastic Free Seas. The aim of this two-year project was to continue the public engagement and action-oriented momentum which began after the plastic pellet spill disaster of August 2012. 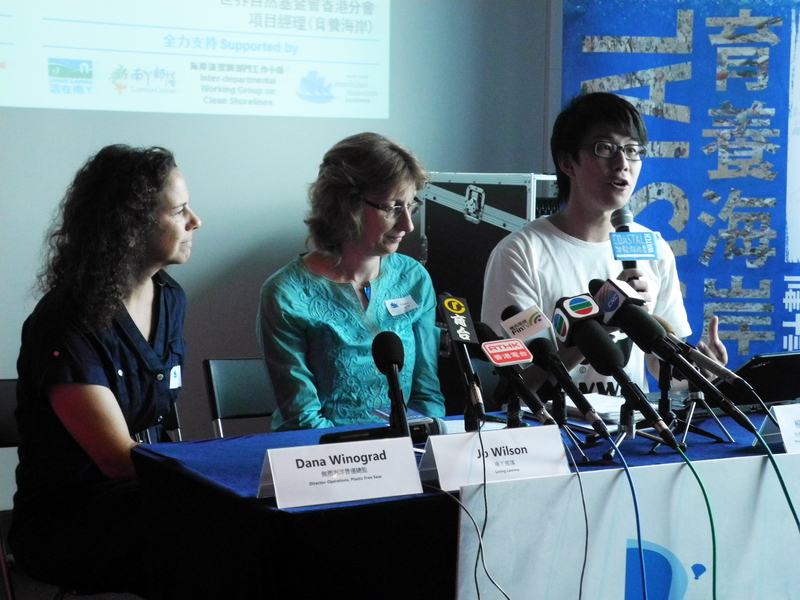 Coastal Watch achieved this goal in a number of ways: through cleaning up several coastal sites across Hong Kong and by performing marine litter and ecological surveys to trace the source of marine litter. Ultimately, the rich data collected by the Coastal Watch project will help the government formulate effective long-term solutions to our persistent marine litter problem. Two years later, Coastal Watch has met and exceeded its initial goals. The project team has finished performing all their coastline, coastal waters and underwater ecological and marine litter surveys, and a new report entitled Coastal Watch – Turning the Tide Against Marine Litter has just been released. 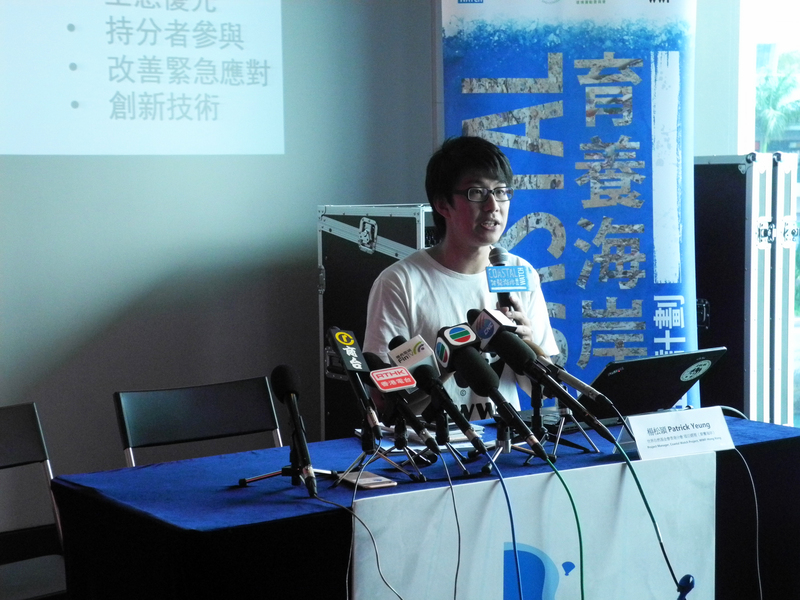 The report examines survey data covering the 34 project sites and the results reveal a disturbing fact: plastic debris makes up between 60 and 80 per cent of marine litter found along our shorelines, on the sea surface and on the seabed, and undoubtedly poses a serious threat to Hong Kong’s marine environment. Over the duration of Coastal Watch, more than 2,000 volunteers, including team scientists and representatives of a number of fishing groups, conducted a total of 130 site actions – performing marine litter and ecological surveys and clean-up activities at a variety of coastal sites with unique ecological value, including mangroves, mudflats, sandy beaches, rocky shores and coral communities. 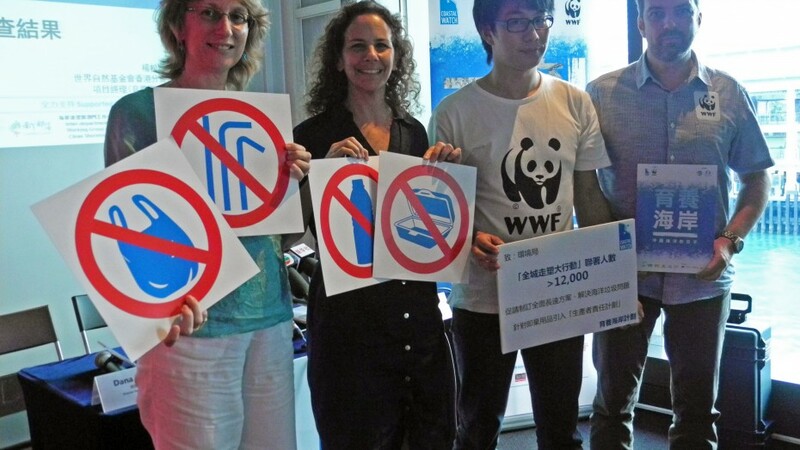 The project mobilized and educated the public by training volunteers to be “citizen scientists”, raising their concern about the marine environment and encouraging them to get involved in marine conservation efforts. The survey data from the project’s second year was collected between July 2015 and July 2016, gathered at 34 project sites with considerable ecological value (please refer to the report’s p.19 and Press Release’s Appendix for further details). The marine litter collected was classified into five main types: ecological, land-based macro-debris, land-based micro-debris, coastal floating litter and underwater litter. During the ecological surveys, data on land-based species and the underwater coral coverage was collected by Coastal Watch’s team scientists and volunteers. The average number of species recorded in each habitat type was as follows: 29 in mangrove environments, 36 in mudflats, 26 in rocky shores and 12 in sandy shores. The average amount of coral coverage in the underwater sites was six per cent. Altogether, around 6,000 marine species have been recorded in Hong Kong waters, according to a previously-conducted University of Hong Kong study. 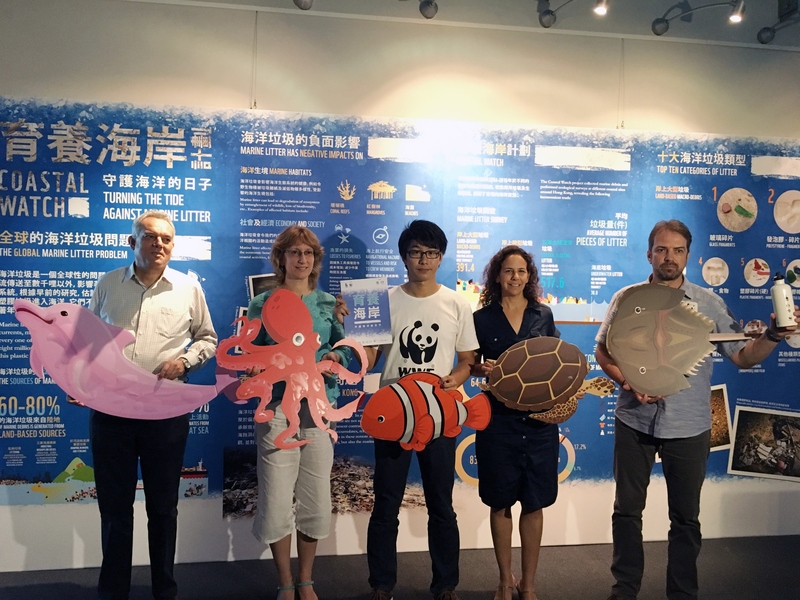 The number of marine species per unit area in Hong Kong is actually – and surprisingly – several hundred times higher than in many other regions of the world, underlining the exceptional marine biodiversity of our waters. When conducting the marine litter surveys, in order to accurately quantify the amount of litter, suitable sampling areas (whether transect lines or belt transects) and a suitable sampling duration needed to be designed. These designs were dependent on the characteristics of the different surveys and habitats. During the land-based macro-debris survey, an average of 391.4 pieces of marine litter were collected in each five-metre belt transect. In total, plastic constituted 64.6 per cent of the litter gathered from the land-based sites: mangroves, mudflats, sandy beaches and rocky shores. The predominant types of plastic litter collected were single-use disposable items like polystyrene fragments, plastic packaging and film fragments, and polystyrene food boxes and cups. During the land-based micro-debris surveys, an average of 89.3 pieces of marine litter were collected in each one square metre area, with plastic constituting 75.6 per cent of this litter. Most of the plastic items found were polystyrene fragments – mainly broken pieces of polystyrene boxes and other disposable packaging. The Coastal Watch team carried out floating litter clean-up activities and surveys in collaboration with fishing communities around Hong Kong. An average of 517.6 pieces of marine litter were collected at sea every two hours, with the proportion of plastic litter collected being as high as 83.7 per cent. The top ten types of litter collected were all plastics and the primary components were similar to those of the land-based debris surveys, i.e. polystyrene and packaging fragments. Disposable plastic items were also frequently recovered, including polystyrene food boxes and cups, bottles, shopping bags and polystyrene boxes, mainly originating from domestic and recreational waste, as well as large polystyrene containers from the city’s markets. Due to their light weight and neutral or positive buoyancy, many types of disposable plastic float and spread widely across the sea. Polystyrene boxes and cups, and fish boxes thrown out by the fishing industry also break easily, falling apart into thousands of tiny pieces which are very difficult to remove from the marine environment. Litter in underwater environments has not been widely studied in Hong Kong. But during the Coastal Watch project, our team along with our partners and volunteers conducted several underwater surveys, recovering an average of 30 pieces of marine litter along each 100 metre transect. Plastic debris was again the most common material, comprising 65.5 per cent of all litter encountered. Abandoned fishing nets and items, and disposable plastic packaging were some of the most common kinds of underwater litter. Abandoned fishing nets (also known as ghost nets) are particularly problematic in the marine environment, as they can entangle marine life, such as fish and crab, causing injury, illness, suffocation, starvation and eventually death. The surveys results reveal a consistent thread: plastic debris makes up most of the marine litter found along our shorelines, on the sea surface and on the seabed. This underlines the fact that plastic marine litter is a serious problem in Hong Kong and poses a serious threat to Hong Kong’s marine environment, including places that are seldom visited by people. The entanglement of sea creatures is one problem, while the fish bite marks that have been found on different types of marine debris is another – the fact that fish are consuming plastic directly affects the health of the fish and the integrity of the food chain. If pollutants related to this litter enter the food chain, fisheries resources and eventually human health will be affected. Not only does the enormous amount of litter piled on our coasts affect the scenery at our beaches and coastlines, persistent rubbish is clearly creating a multitude of threats to both the marine ecology and to human beings. Last but not least, the fact that the plastic litter’s primary origins are domestic and recreational waste implies that we are the root of the problem: our unsustainable, disposable lifestyles are creating long-lasting effects on the marine environment. 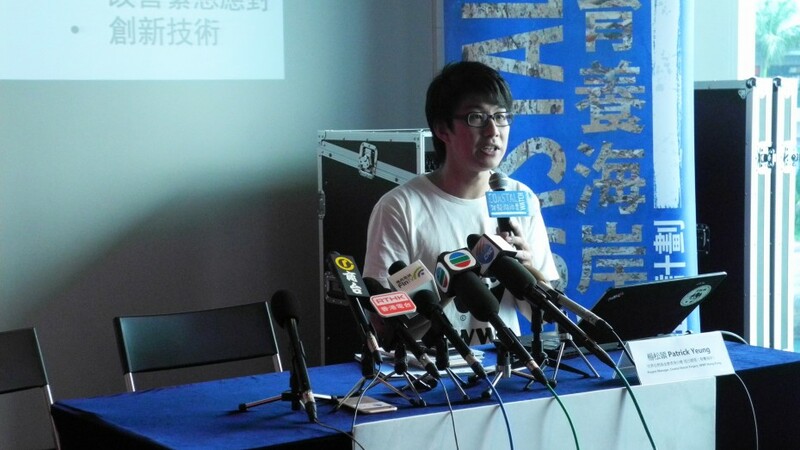 It is clear that Hong Kong’s current attempts to solve this problem are not working. More assertive and proactive approaches must be urgently adopted, including reducing waste generation, preventing waste from entering the sea and effectively cleaning up the marine environment. These actions will require close cooperation between the government, green groups and all of society across several key areas: policy and legislation, research, innovation, education, facilities support, stakeholder engagement and enforcement. In view of the fact that disposable products like plastic bottles, meal boxes and cutlery dominate the marine litter on our shores, Coastal Watch urges the government to implement effective producer responsibility schemes which will persuade manufacturers, retailers and the citizens alike to share responsibility for the collection, recycling, treatment and end-of-life disposal of products, like plastic drink bottles for example. As consumers ourselves, we should all work towards becoming part of the solution. Every one of us can start making things better today, by following the “3Rs” principles – REDUCE, REUSE and RECYCLE. This will cut down on the generation of unnecessary waste and, most importantly, keep garbage out of the sea. 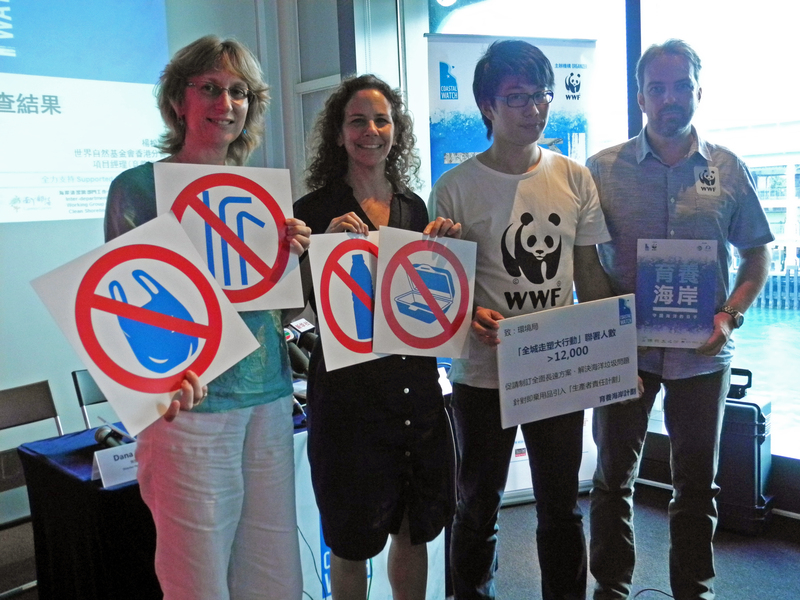 Launched in August, Coastal Watch’s final “Knock Plastic Out of the Ocean” campaign is encouraging everyone across Hong Kong to say “no” to single-use plastic items. The campaign has now collected more than 12,000 pledges from citizens and organizations. This high level of engagement is sending a loud and clear message, urging the government to introduce a producer responsibility scheme for single-use plastic products, and encouraging the business sector to uphold their responsibilities by using environmentally-friendly alternatives to plastic. The collected signatures and a petition letter will soon be submitted to the Environment Bureau in the hopes that the government will address the marine waste problem, reduce waste at source and catalyse the search for solutions. 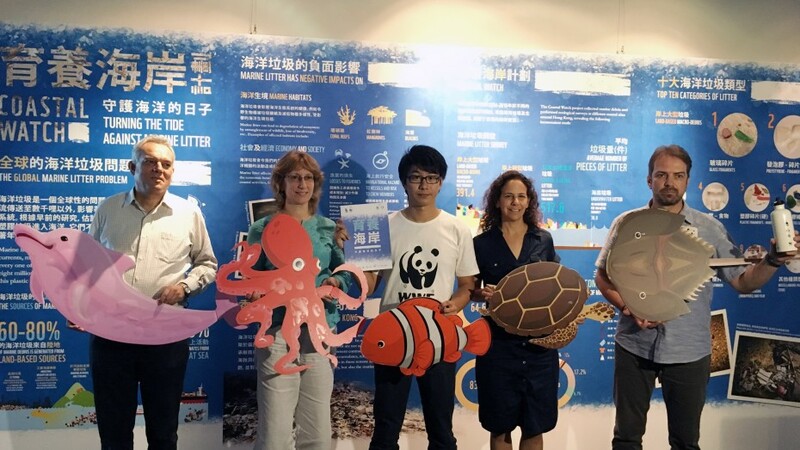 Starting from 29 October, a retrospective exhibition on the project called “Coastal Watch – Turning the Tide Against Marine Litter” will be held at the Hong Kong Maritime Museum, featuring highlights of the project’s two successful years.